Phantom Regiment of Rockford, Illinois regrets to announce that it will not take part in tonight's scheduled performance at the Drums Across the Desert DCI Tour event in Mesa, Arizona. The corps will instead regroup in the wake of an early-morning bus accident involving administrative staff personnel. 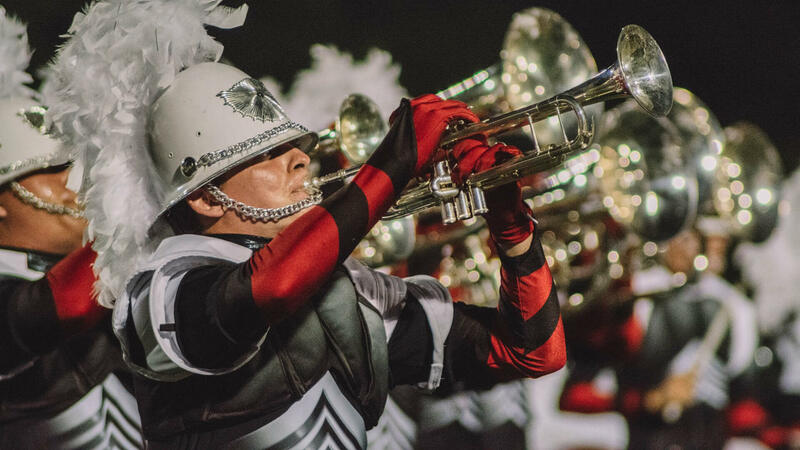 Phantom Regiment's absence will not affect the start time of the Mesa event, which will kick off at 7:30 p.m. MT with performances by the Phenom SoundSport team, Watchmen, Santa Clara Vanguard and The Academy. The latter two corps will add special encore performances to their presentations at tonight's event. Phantom Regiment will be traveling back to the Midwest over the next four days with the corps' next scheduled performance in Chickasha, Oklahoma on Wednesday, July 5, before returning to the corps' hometown of Rockford, Illinois on Friday, July 7.